Douglass Community Association has two youth programs: Douglass Young Men of Promise and Girls Inventing Real Life Solutions. These are both offered after school. Girls Inventing Real Life Solutions is designed for girls to have a strong sense of self in a world in which they are bombarded with messages that tell them that will never measure up. This program is about affirmation and connection to the community and one another. The work that is done is both trauma informed and culturally relevant. Girls are connected with women in various careers and provided opportunity to explore what it means to be who they are in a judgment-free environment. Youth voice is the most important aspect of both of these groups. The young men and the young women both have input into the design and many times the day-to-day of what they will receive from participating. Youth participate in volunteer/community service within the community in which they reside. This creates a sense of responsibility for one’s own environment. We are reaching youth ages 13 – 25. The youth also participate in social-justice learning opportunities. Creating equity in opportunity for those who need it most, that is Douglass Young Men of Promise and Girls Inventing Real Life Solutions. For more information, visit www.dcakalamazoo.com. The entire community benefits as a result of recreation programs, special events, and parks as they all help us develop better citizens. How adolescents spend their leisure time undoubtedly impacts their developmental trajectory. As such, a focal point of examination for those in the fields of youth development and delinquency prevention is how adolescents spend their leisure time after school and during the summer months. Living in a playful city brings the community together with activities that focus on youth and families. The offering of recreation programs that engage youth and families and provide the opportunity for play is one strategy that helps individuals establish a sense of community and belonging. These programs also attract citizens across generations, which is also instrumental in the growth and development of youth. 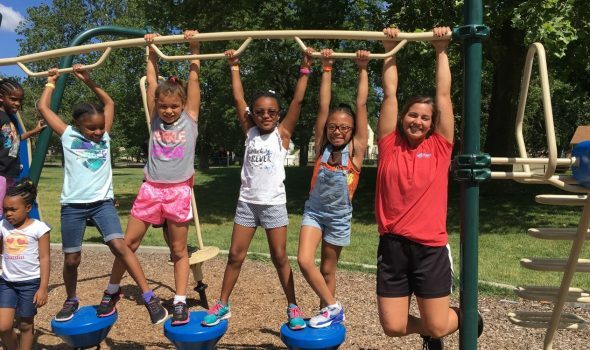 Two programs that address the leisure time needs of youth in Kalamazoo are After School Programs and “Super Rec” (supervised playground sites). After School Program sites include the Youth Development Center and Station 5. Both sites are staffed with amazing young people who desire to positively impact youth in our community. Homework is a priority and must be completed prior to any “play” time. “Super Rec” is offered at four sites in the city (Hispanic American Council, Oakwood Neighborhood Association, New Horizon Village, and at LaCrone Park). Youth attend this free program that is staffed with young adults who coordinate a variety of activities during the day. This program is offered from 9:00 am – 5:00 pm, Monday through Friday, and averaged 30 youth per site in 2017. For more information, visit www.kzooparks.org. 1301 Portage Street, located in Washington Square, has undergone dramatic changes over its history: a bank, drugstore, and then, finally, L.A. Insurance, which was abandoned. Kalamazoo County Land Bank has worked to uncover the former beauty — the ornate historic molding, grand ceiling, and the corner façade — of this space in the heart of the Edison neighborhood. Investments on Portage Street are starting to make a difference, enhancing the vibrancy of this important commercial corridor, but healthy food options are still a challenge in the Edison neighborhood. 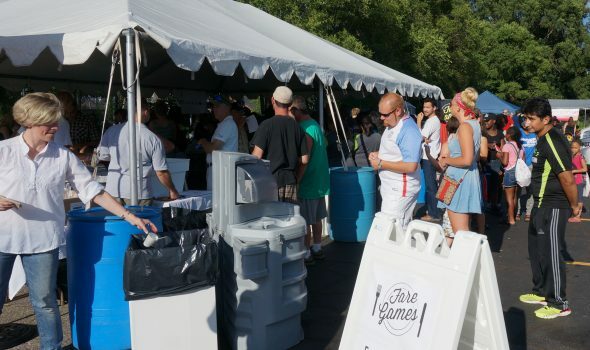 Fare Games was an exciting means of introducing a competitive element in order to engage local businesspeople and residents in identifying a new tenant for 1301 Portage. Each budding food entrepreneur was asked to develop a business plan for this space, then competed for incentives, such as pro-bono legal services and restaurant supplies, to launch their business. Supporting and enriching the cultural, social and economic life of Greater Kalamazoo. The winner of the competition, Pho on the Block, will celebrate their grand opening in May 2017. Their plan promises an exciting new modern Vietnamese dining concept with locally sourced produce. This restaurant will serve as an anchor for Washington Square, encouraging people from Kalamazoo and beyond to connect with one another. Every spring thousands of astronomy clubs, museums, and planetariums around the world celebrate Astronomy Day. Its purpose is to bring science alive for the entire community through educational displays, hands-on activities, special presentations, and sharing the splendors of the night sky. The Kalamazoo Astronomical Society (KAS) has been holding its day-long Astronomy Day celebration annually since 1997. 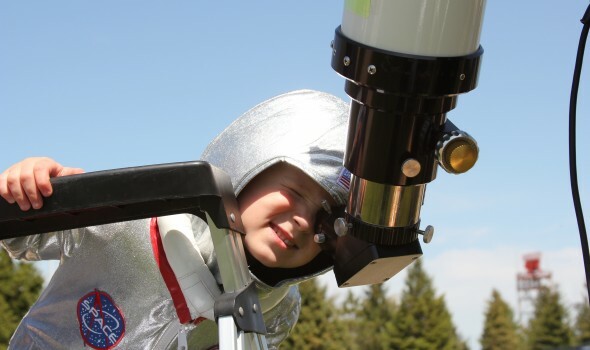 Our free event, aimed at families with school-aged children, is intended to widen knowledge and appreciation of science, particularly the field of astronomy. KAS Astronomy Day features day and evening activities. Daytime activities have been held at a variety of partnering organization locations throughout the Kalamazoo area such as the Air Zoo, Kalamazoo Valley Museum, and the Kalamazoo Nature Center to reach as broad an audience as possible. Solar observing is a popular activity, allowing attendees to safely observe solar phenomena such as sunspots through member telescopes. Displays highlight member astrophotography, light pollution, and our exploration of the solar system and universe. One of Astronomy Day’s feature attractions, hands-on activities, provide a fun learning experience for our key audience: children. 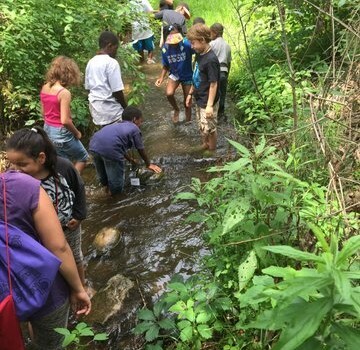 Evening activities are hosted by our program partner, the Kalamazoo Nature Center. Our Astronomy Day Keynote Presentations have featured many renowned astrophysicists and educators, including astronomer and author Phil Plait, retired astronaut Story Musgrave, Caltech astronomer Mike Brown, and SETI scientist Jill Tarter. Astronomy Day wraps up under the stars at our observatory, located on the grounds of the Kalamazoo Nature Center. Guests observe craters and mountains on the Moon, the rings of Saturn, distant galaxies, and much more. KAS Astronomy Day has garnered many awards and is a four-time winner of the Astronomical League’s “Best Event” in the medium population category; more than any other organization. We have also won their “Quality Event Year After Year” category on three separate occasions. The KAS is proud to promote science, technology, engineering, and mathematics (STEM) education throughout our community. 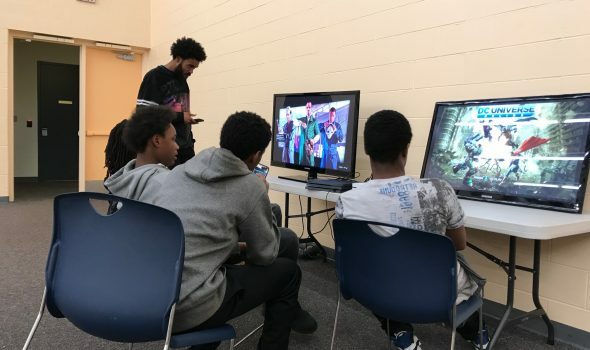 The Kalamazoo Center for Youth & Community (KCYC), located in the Eastside and Eastwood neighborhoods, has over 400 students currently enrolled. KCYC relies on a collaborative partnership “surround the child” approach, providing a variety of evidence-based programming. Youth may become a member at the Boys & Girls Club at Northeastern Elementary (where Kalamazoo Public Schools provides indoor and outdoor space and dinner for all who attend), or they can drop in for the CHAMPs after-school program, located at the Eastside Neighborhood Association, where staff offer homework help, social-emotional skill building, and experiential learning activities. KCYC teens can participate in Speak It Forward’s “Speak With Fire” program, where they develop confidence in speaking about the challenges they experience in their lives, or in the Accelerating Student Athletes Progress (ASAP) program, which combines individualized academic tutoring support with collegiate level basketball skill coaching. Eastside students with high risk indicators for dropping out are enrolled in KCYC’s intensive Check & Connect program, where they are assigned a mentor and may have focused interventions at the Cheff Center (equine therapy), the Eastside Boxing Club, or even attend a local martial arts program. Some of the youngest students who struggle academically are enrolled in KCYC’s acclaimed Individualized Student Services program, which includes occupational therapy provided by Western Michigan University to help in understanding their personal learning styles, and individualized reading tutors provided by the SLD Read organization. KCYC provides staff training, cross-program student data, and continuous improvement evaluation to all its collaborative partners — creating transformation on the Eastside. Building Blocks is a collaborative effort of representatives from many community organizations, a collaboration that organizes local residents around the physical and social revitalization of their neighborhoods. Through this street-level community organizing, residents are able to strengthen social bonds, strengthen the collective voice of the neighborhood and play a main role in the development of their own communities. Residents in each target site volunteer their labor to projects which they have selected. The success of these activities depends upon the voluntary and cooperative efforts of neighborhood residents. 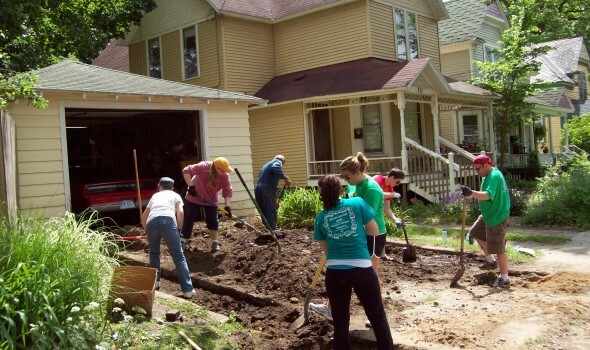 They work together to improve not only their own homes, but also their neighbors’ homes. Residents also volunteer their time, preparing food, supervising projects, or offering their homes for meeting space. Most importantly, through cooperation and involvement in the project activities, residents bond with each other and ensure a sense of commitment to their streets and their neighborhood associations. Although Building Blocks operates in distinctively small sites, the cumulative effect of its activities is impressive. Over the past 20 years the program has enabled some 1,500 households in the city’s low- and low-to-moderate income neighborhoods to upgrade their homes when few other discretionary funds were available. Of more lasting importance, Building Blocks has helped to regenerate community ties in 150 street-level target sites, supporting improvements and enhancing general quality of life as neighbors step forward to take collective responsibility. Neighborhood associations have also benefited from the influx of new leaders and new loyalties from local residents. We live in a time when increasing numbers of Americans consume food prepared away from home. This trend — along with poor dietary choices and lack of access to healthy, sustainably sourced food — contributes to a reduced quality of life and the onset of preventable disease. The Culinary Arts and Sustainable Food curriculum recently approved by the Kalamazoo Valley Community College Trustees reflects the belief that the best practices of urban agriculture, the latest developments in culinary and food-production research and technology, and the transformative power of education will improve the health and well-being of our citizens and help sustain our communities. The college believes that culinary and food professionals can serve as positive change agents in society. This new curriculum is scheduled to launch in fall 2015 and will be delivered in state-of-the-art facilities on a new health-focused campus in downtown Kalamazoo. This health-focused campus, a unique partnership between Bronson Healthcare, Kalamazoo Community Health and Substance Abuse Services, and Kalamazoo Valley Community College is under construction on approximately 14 acres of land donated by Bronson Healthcare. Three facilities are planned. Kalamazoo Valley Community College will develop one for food production and distribution; a second for nursing, allied health and culinary programs; and the third will be a new psychiatric clinic for Kalamazoo Community Mental Health and Substance Abuse Services. The campus is close to Bronson Hospital and Western Michigan University Homer Stryker M.D. School of Medicine, extending the healthcare corridor toward the underserved Edison neighborhood and the Kalamazoo Farmers’ Market. Anchor projects located near downtown neighborhoods bring collateral jobs and opportunities to fuel further revitalization and urban prosperity, fostering collaborative community involvement in addressing critical issues impacting underserved populations. Since announcing the new campus, at least two major commercial projects have been initiated in the area. Improving the lives of community residents will improve neighborhoods, multiplying the positive impact of urban revitalization. The Land Bank serves Kalamazoo County by eliminating blight, selling side lots, and returning tax-foreclosed and abandoned properties to active use. The project, Riverview Launch, is a redevelopment plan for a six acre tax-foreclosed site located on Riverview Drive in the City of Kalamazoo. 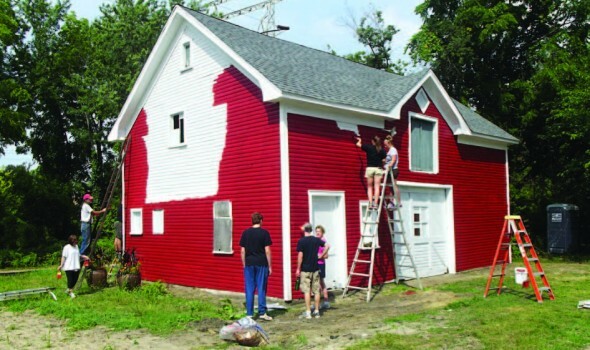 The Land Bank facilitated a community conversation in 2013 resulting in a multi-year concept plan to repurpose just under 9,000 square feet including a commercial structure, historic barn, greenhouse and ancillary structures on the site. The project seeks to create a hub of local activity and increase access to community assets. The redevelopment will include site improvements, native plant restoration around the redevelopment, rehabilitation, and some new construction. The site will be used as a community facility for local programming and office space, and importantly, a center of interest and activity for Kalamazoo residents promoting both the Kalamazoo River Valley Trail and the Kalamazoo River. The multi-year nature of the concept plan allows for continued community engagement and community building as an intentional component of the phasing of the project. 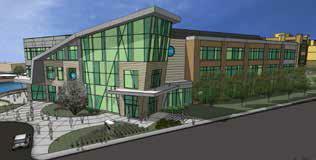 Importantly, the site will facilitate the growth of valuable community programming. The growing Open Roads Bike Program and MSU Extension are working on programmatic offerings linked to the unique nature of the site. These include a pilot junior master gardener course and linkages with new urban 4-H efforts. In early 2014, a newly crafted native bee house will be installed at the site by 4-H and Trybal Revival Gardens as a part of this effort. Open Roads plans to begin programming and locating at the site in 2014. Plans for youth programming connected to this site will provide opportunities for Kalamazoo youth to experience new opportunities associated with biking, active and healthy lifestyles, growing and gardening, and opportunities to learn business and entrepreneurial skills. Riverview Launch also supports the two primary goals of the Kalamazoo Riverfront Redevelopment Plan: 1) Using the river to bind the East and West sides of the city together, and 2) creating a lively and vibrant Riverfront District. 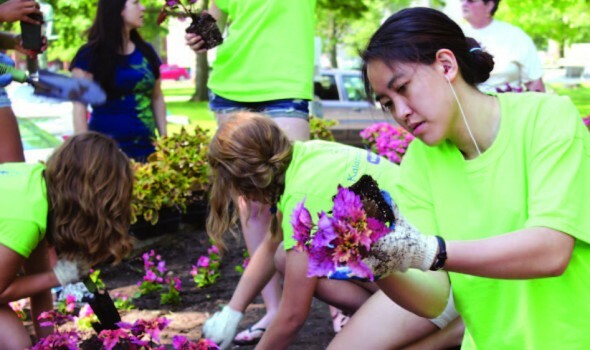 Kalamazoo in Bloom celebrates 30 years in 2014. To honor this occasion, Kalamazoo in Bloom is coordinating a late summer KalamaZOO Hop in collaboration with six Kalamazoo neighborhoods, Kalamazoo County Parks & Recreation Department, Portage, Comstock and several other organizations to create a series of activities and attractions open to the public. As part of Kalamazoo in Bloom’s annual plantings, topiaries in the shape of animals are being purchased together with flowers for beds throughout Kalamazoo, Comstock and Portage, as well as in each of the six collaborating City of Kalamazoo neighborhoods. The collaboration with the neighborhoods also involves a special art project in which a group of neighborhood youth, under the instruction of a neighborhood artist, will create meaningful pieces of public art that will be on display in Bronson Park for one week, then permanently installed in the respective neighborhoods. One of Kalamazoo in Bloom’s purposes is to engage the community in the creative process of placemaking, as well as the enjoyment of those places created, by inviting participation from all sectors of the diverse communities served. Kalamazoo in Bloom is honored to be collaborating with many partners on the KalamaZOO Hop project that, like Kalamazoo in Bloom, have a passion for creating vibrant communities and enhancing quality of life for residents. (ONEplace) opened in March 2009 providing a full slate of online and print resources plus a complete schedule of webinars and workshops. Since its inception ONEplace has provided opportunities for nonprofit leadership to improve performance and achieve excellence throughout their organizations. All programs and services are offered at no cost to the participants, making this the most accessible and inclusive management support organization in the state. 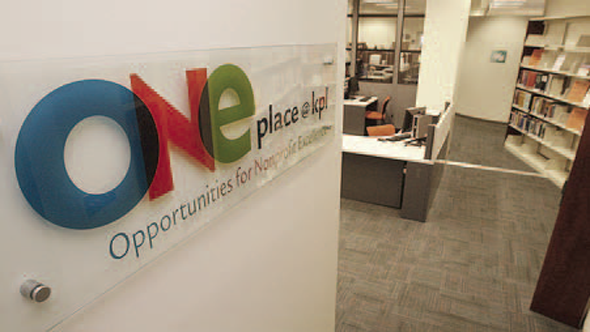 Today, ONEplace serves as the education arm of the funding community. By addressing the professional development needs of existing nonprofit organizations and encouraging the creation of only the most promising new nonprofits, ONEplace encourages the wise, effective use of charitable dollars and serves as a catalyst for community success. Area nonprofit organizations have a place to ask questions, access resources, and receive training. It’s their ONEplace.